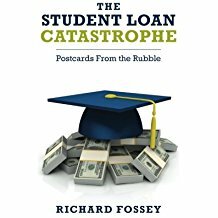 A quarter trillion dollars in student aid last year: And what do we have to show for it? The Chronicle of Higher Education released its annual Almanac edition this month, stuffed full of information that professors care most about: how much money people are making in the higher-education racket. College presidents are making out like bandits. In 2015, Fifty presidents of private colleges received at least a million dollars in total compensation. 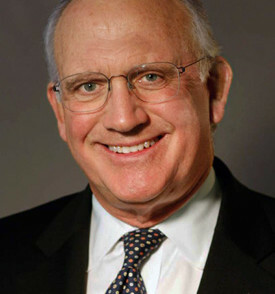 Nathan Hatch at Wake Forest was the highest paid university CEO. He made $4 million in 2015--more than twice as much as the president of Yale. The Chronicle also documented what we already knew--the cost of going to college is in the stratosphere. At 100 private universities, it costs a quarter of a million dollars to get an undergraduate degree (tuition, room and board). And those costs are probably underestimated. According to the Chronicle, room and board at Yale costs $15,500. But does anyone believe a person can live in New Haven, Connecticut on $15,500 a year? On the other hand, the posted sticker price for college tuition is inflated. As the Chronicle reported, colleges are discounting freshman tuition by 50 percent. Thus, a private college that charges $36,000 a year for tuition is actually collecting only about $18,000 due to grants, scholarships and various discounts. Who gets those tuition discounts and who pays the sticker price? Colleges give grants and aid to athletes, minority students, and applicants with good academic credentials. Only the least attractive applicants pay full price. The Chronicle's Almanac also contains some useful information about colleges that are in financial trouble. The U.S. Department of Education gives financial responsibility ratings to American colleges. Institutions that rate 1.0 and above are considered financially responsible; college ranking below that are considered not financially responsible. Not surprisingly, a lot of the schools with low ratings are private colleges with religious affiliations. Northeast Catholic College, for example, received a negative 0.4 rating, and Boston Baptist College drew a 0.8. These scores are just another sign that the small, non-prestigious, private colleges are in big trouble, particularly schools tied to religious denominations. I wish all these little schools well, but parents are crazy if they allow their children to take out student loans to attend a small private college no one has heard of. There is a good chance these schools will have shut down before their graduates pay off their loans. Finally, the Chronicle reported almost a quarter of a trillion dollars was distributed in governmental and institutional student aid during 2016-2017, including $153 billion in federal aid (loans, grants and Work-Study). That's a lot of money invested in American higher education in just one year. Does anyone think we're getting our money's worth? Graduate students' tuition waivers will become taxable income if the House's "tax reform' bill becomes law: Do the universities care? The House of Representatives approved a "tax reform" bill last month. If the bill becomes law, graduate students' tuition waivers will become taxable income. This is a big deal. Numerous research universities grant tuition waivers to their graduate students in return for useful work--instructing undergraduates, for example, or serving as laboratory assistants for professors' ongoing research projects. Under current law, graduate students' tuition waivers are not considered taxable income, and the House's tax bill will hit these students hard. Tuition for many graduate programs can easily top $40,000 a year. If tuition waivers are taxed, most graduate students who receive them will be forced to take out larger student loans simply to pay their federal taxes and stay in graduate school. This provision is not in the Senate version of the tax bill, so differences between the Senate's bill and the House's bill will be resolved by a joint committee. This pernicious provision is solely the work of House Republicans, because no House Democrat voted for the bill. Apparently, the Republican legislators are clueless regarding the impact of taxing tuition waivers or they simply don't give a damn. Will the research universities fight to keep the tuition waiver language out of the tax bill? I doubt it. The big research universities are more concerned about their endowments than they are about graduate students' tax worries. The Senate and House versions of the tax bill both call for a 1.4 percent excise tax on university endowments with funds in excess of a quarter million dollars per student. Douglas Warner, a Yale trustee and retired investment banker, thundered against the proposed excise tax a few days ago. Such a tax would threaten Yale's ability to "build the human and intellectual capital the country requires to thrive as a global leader," Warner declared; but he didn't say a word about the tax bill's effect on graduate students. Let's face it. Universities aren't overly concerned about a tax on graduate students' tuition waivers because the harm falls on students, not the universities. The universities know graduate students will absorb this new tax simply by taking out more student loans. Yale Trustee Douglas Warner: Don't tax Yale's Endowment! Jared Walczak. Important Differences Between the House and Senate Tax Reform Bills Heading Into Conference. Taxfoundation.org, December 2, 2017/. Douglas A. Warner. The GOP Tax Bill Will Hurt U.S. Universities. Politico.com, December 1, 2017.